Philadelphia Eagles running back Darren Sproles aggravated his hamstring injury in practice Wednesday and is expected to be sidelined, sources told ESPN's Adam Schefter. Sproles' latest setback comes after coach Doug Pederson said he expected the running back to play Sunday in his first game since Week 1. Lane Johnson is hardly alone as he comes back earlier than expected from a knee injury. 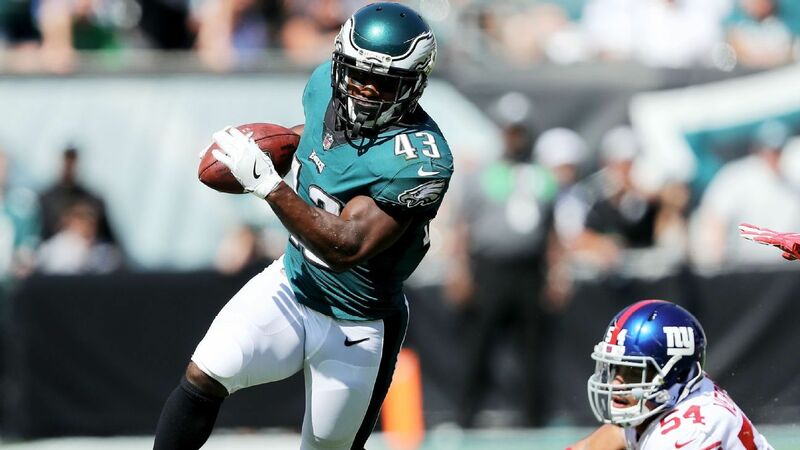 The Eagles had hoped Sproles could resume punt-return duties and rejoin a backfield currently being led by Wendell Smallwood and Corey Clement . DeAndre Carter had been returning punts in Sproles' absence but was waived Tuesday and claimed by the Houston Texans on Wednesday.